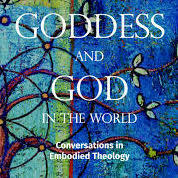 Goddess and God in the World is feminist theologians Carol P. Christ and Judith Plaskow’s effort to model how to disagree about something basic and still find plenty of common ground for action. It is a timely book, given the current political divide in the United States, where deeply held beliefs shape voting, policy, and neighborhood comfort levels. This conversation about the divine is relevant and compelling. It seems that never the twain shall meet. But these two colleagues have been having similar conversations for decades with fruitful results. The story — yes, this theological tome is as intriguing as a mystery novel — unfolds as they detail how they arrive at their positions; why, despite their disagreements, they continue to be close friends; and what their theologies mean about living in the only world we have. Spoiler alert: They concur on the importance of feminist theologies and on the specifics of moral actions that flow from their commitments, but they do not persuade one another of their views of the divine. In alternating chapters, they tell about their early years in Christian (Christ) and Jewish (Plaskow) homes. They disclose painful experiences of their shared years in the 1960s and ’70s as doctoral students at a very patriarchal Yale University, where few women matriculated in religion. They reflect on their teaching and writing years (which continue to unfold), their distinguished scholarship, and even their loves and losses. They offer glimpses of how they each proceed intellectually and spiritually. Life is grist for the theological mill. Fortunately, there is not too much information and autobiography is not the final arbiter of anything. This is deeply distilled theology based on real life. Their views of the divine reflect their own embodiment. Plaskow lives in her beloved New York City, where she is actively retired as professor emerita at Manhattan College, having spent most of her career as a Jew teaching among Catholics. Christ lives on Lesbos in Greece, where she leads Goddess tours and engages in Green Party political action. Their friendship is a strong thread that runs through the book. However, friendship is no barrier to frank, sometimes stunning critiques of one another. Imagine being told by a friend that your ideas amount to wish fulfillment! Responding without defensiveness requires a great deal of maturity. That exchange, and others of equal power, are predicated on a rare and remarkable relationship. The result of their exchanges is embodied theology, not solipsism raised to a theoretical level. In a clearly written but ambitious work, the scholars situate their own insights in the context of Western theological thinking, especially in the history of the feminist theologies that they have done so much to create. They assume that feminist work is normative and use it as a springboard for new insights, rather than defend its existence. Their jointly authored chapters on theology form a book within a book that serious students will want to study. 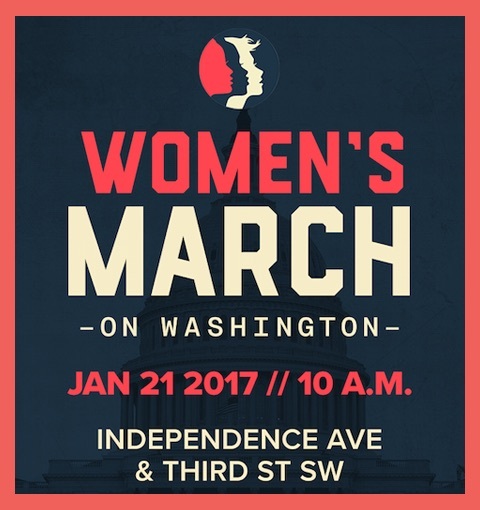 Their shared critical and constructive approaches mark a new phase of feminist work in religion. The central conundrum is why, when they see the world in such a similar way, they nonetheless see the divine so differently. Christ claims the divine as a personal presence while Plaskow affirms a power that encompasses everything, good and bad, without distinction. They tease out the many reasons why people arrive at such conclusions, the inevitably complex and multivalent shaping forces of foundational ideas. I was less persuaded than they seem to be about the importance of mothers in forming our notions of the divine. Their focus on mothers felt a little stereotypical and narrow to me. Loads of people influence how we view the world. But I plan to ponder the matter after their fashion and see what I may be missing. The book works on the reader that way. Goddess and God in the World is a carefully structured, accessibly written, well-researched, and usefully footnoted book. It will be used to teach method as well as content in theology. Readers are invited, indeed many will feel compelled, as I did, to search ourselves in the same rigorous way the authors did. Whether for theological experts or those simply interested in how women make meaning in a vexed world, the work of Christ and Plaskow proves that women can and must take our experiences seriously because they make a difference. They make us long for intellectual and spiritual friends with whom to engage in deep conversation. Eager readers await a sequel in which the authors might usefully struggle with topics like how believing in an afterlife (they do not) affects daily living. They might flesh out their ethical programs in more detail. Application of their method in other religious traditions will be fascinating to observe. And the critique that they have not gotten beyond the gender binary in their “Goddess and God” formula remains to be answered. Christ and Plaskow offer a new way to do theology and a fascinating study of how to think about the divine. Organize your study group and fasten your seatbelts for a torrent of theological thinking that is changing the world.